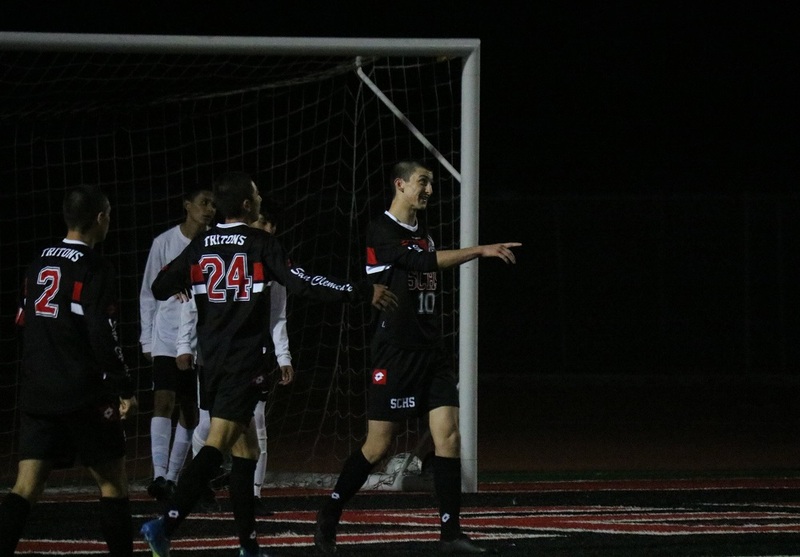 SAN CLEMENTE – After an undefeated run through league play, the San Clemente boys soccer team is back in the Division 1 playoffs looking to right the results from a year ago, and the Tritons wasted no time in getting off on the right foot on Thursday, Feb. 6. 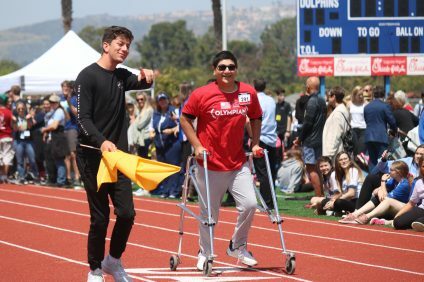 Blake Bowen cracked open the game with a penalty kick goal, and Evan Dilbeck put together a hat trick on the end of a couple slick passing plays in the second half as San Clemente rolled over Century of Santa Ana, 5-0, in a CIF-SS Division 1 first-round match at San Clemente High School. 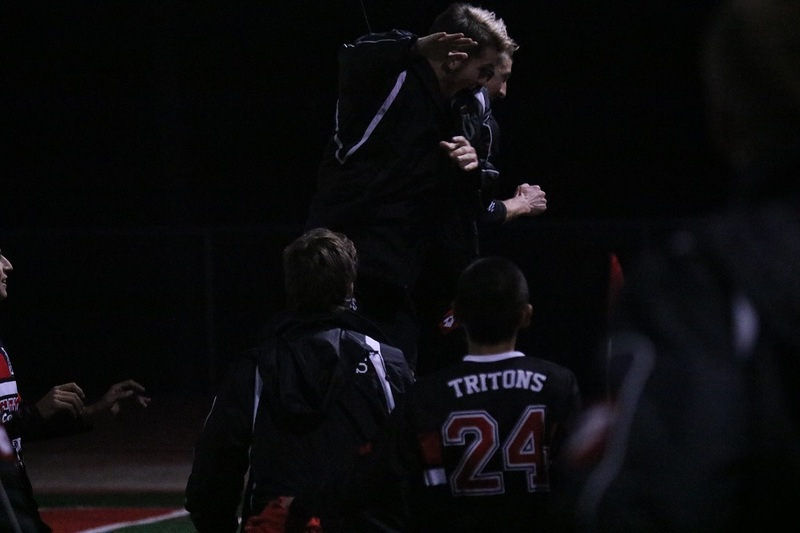 San Clemente (20-2-4) now travels to Paramount for the second round on Saturday, Feb. 9. Paramount (17-4-3) beat South Torrance at home, 2-0, in the first round. 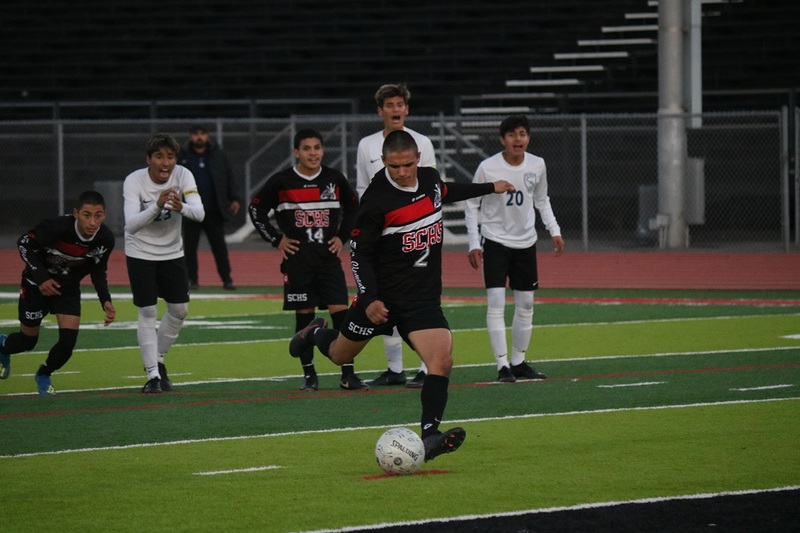 Last season, San Clemente made a run to the Division 1 semifinals and SoCal Regional Final where they lost in a shootout and in overtime, respectively. 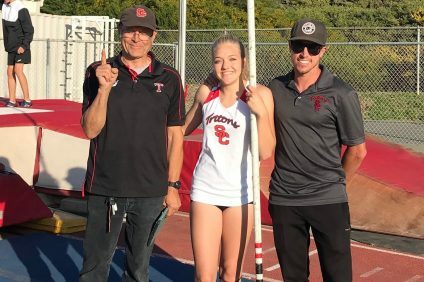 After coming so close to glory, those moments stuck with the Tritons as motivation this season. 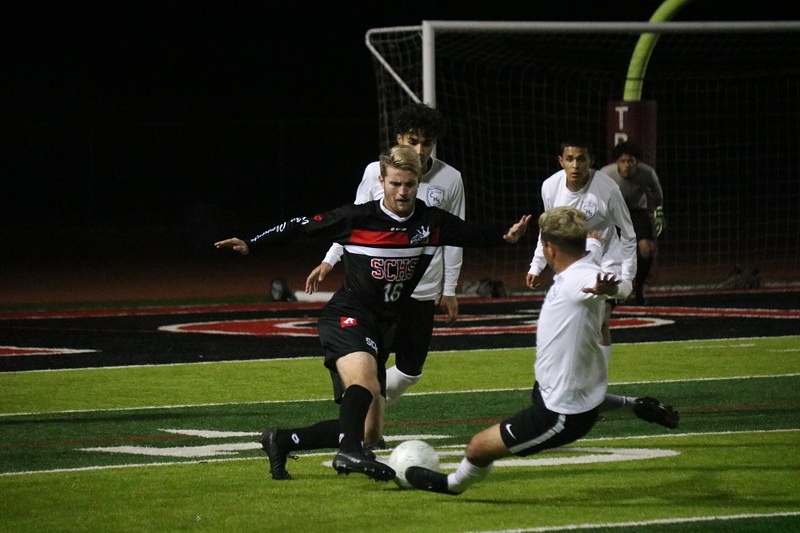 San Clemente opened last season’s playoffs with four goals at home against Century, and the Tritons got things going again early. San Clemente held the early run of play and took advantage of Century’s tight defense against Bowen. Century had a defender sticking to Bowen’s side through an early San Clemente push, but the senior drew a penalty kick on a dash to the box in the 16th minute. Bowen sent the spot kick to the left side off the hands of the goalkeeper and into the net for the lead, 1-0. 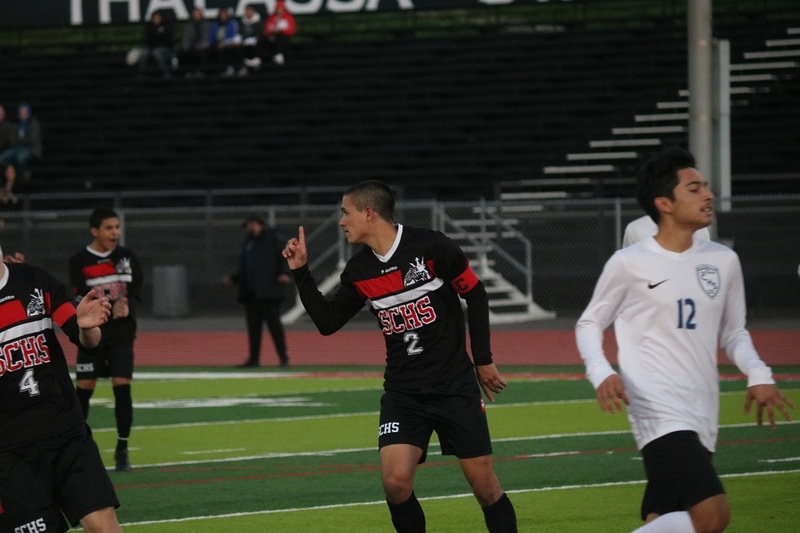 San Clemente continued to own the possession numbers but didn’t strike again until the 39th minute with a little help from Century. Dilbeck sent a cross from the right side to the near post, and the ball went off a Centurion defender and into the net for the two-goal Triton advantage just before halftime. The Tritons kept things rolling in the second half. 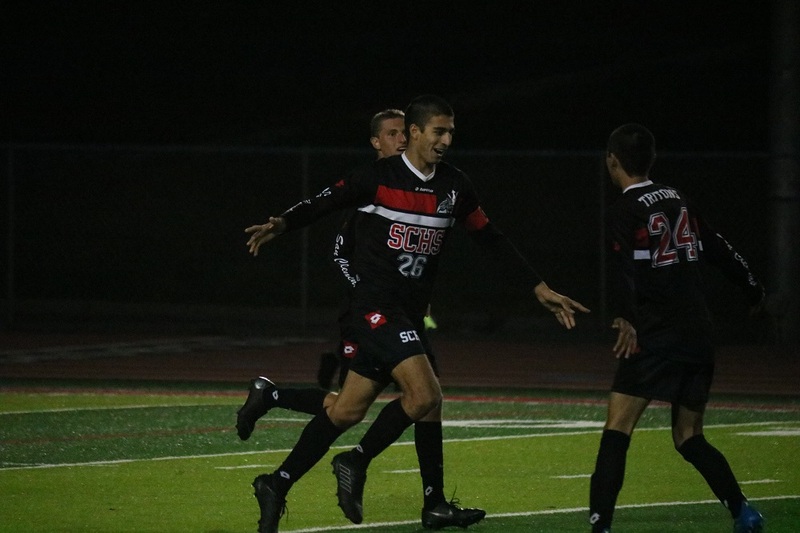 Koosha Jadbabaei knocked in a header in the 45th minute for the three-goal lead, and Dillbeck converted a strong passing play 11 minutes later. Daniel Tuscano charged forward from midfield and dished over to Liam Linas on the right side. Linas placed a ball around the charging goalkeeper to Dilbeck who put the ball in the wide open net, 4-0. In the 64th minute, Dilbeck took advantage of some more slick plays. Quinn Richards swiftly beat his man down the left side and sent the ball to Jovanni Gomez at the top of the box. Gomez couldn’t find his footing for the shot and back-heeled to Dilbeck who one-touched a shot by the keeper diving the wrong direction for the fifth Triton goal of the game. The three goals marked the third hat trick of the season for Dilbeck. Both Triton goalkeepers played a half in the shutout effort. Curtis Harvey started the game, and Ryan Kowarsch came on for the second half. 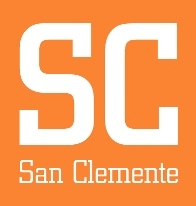 The teamwork and passing plays shown by San Clemente in the second half are evidence of the consistency Pronier has looking for from his group down the stretch and into the bigger stages.